James Dean was born on February 8, 1931, in Marion, Indiana. He starred in the film adaptation of the John Steinbeck novel East of Eden, for which he received a posthumous Oscar nomination. Dean&apos;s next starring role as an emotionally tortured teen in Rebel Without a Cause made him into the embodiment of his generation. In early autumn 1955, Dean was killed in a car crash, quickly becoming an enduring film icon whose legacy has endured for decades. His final film Giant, was also released posthumously. James Byron Dean was born on February 8, 1931, in Marion, Indiana, to Winton Dean and Mildred Wilson. Dean&apos;s father left farming to become a dentist and moved the family to Santa Monica, California, where Dean attended Brentwood Public School. Several years later, Dean&apos;s mother, whom he was very close to, died of cancer, and Dean&apos;s father sent him back to Indiana to live on his aunt and uncle&apos;s Quaker farm. 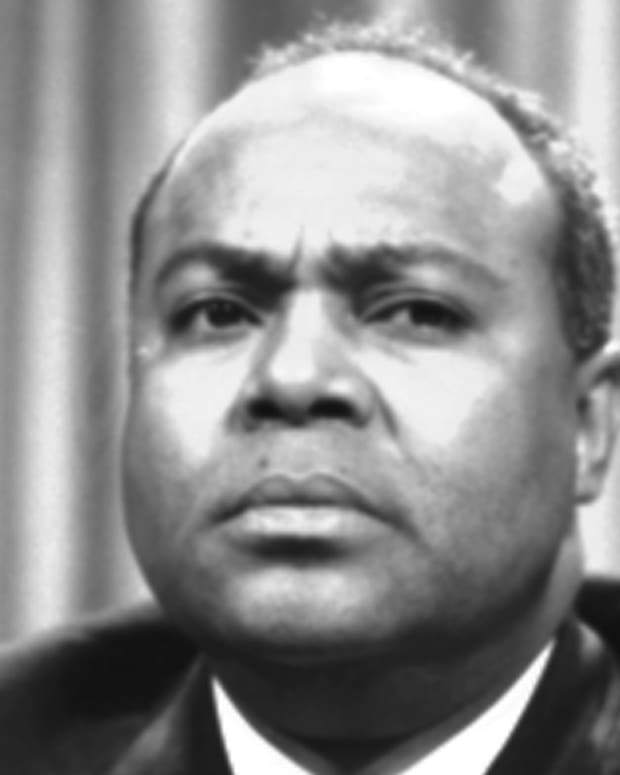 During this time, Dean sought counsel from his pastor, the Rev. 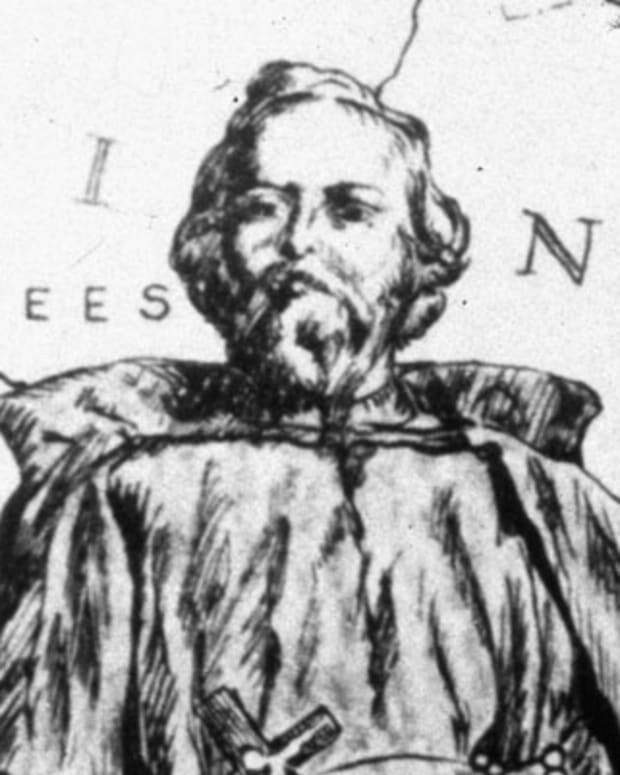 James DeWeerd, who influenced his later interest in car racing and theater. 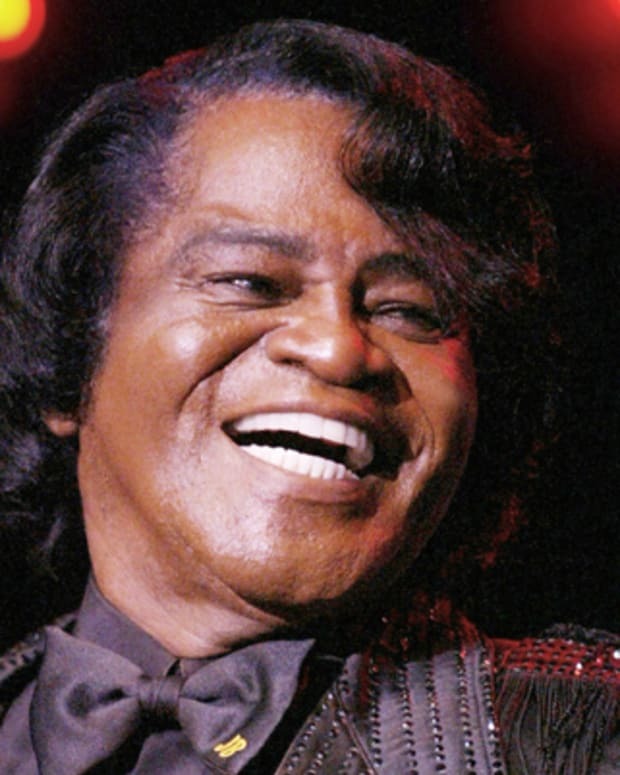 The two formed an intimate relationship that is rumored to have been sexual. 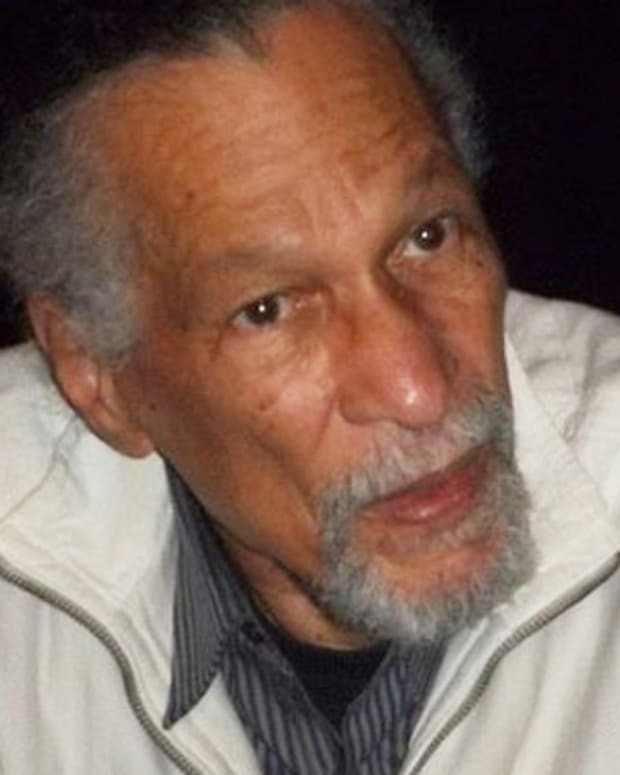 In 1949, Dean graduated from high school and moved back to California. 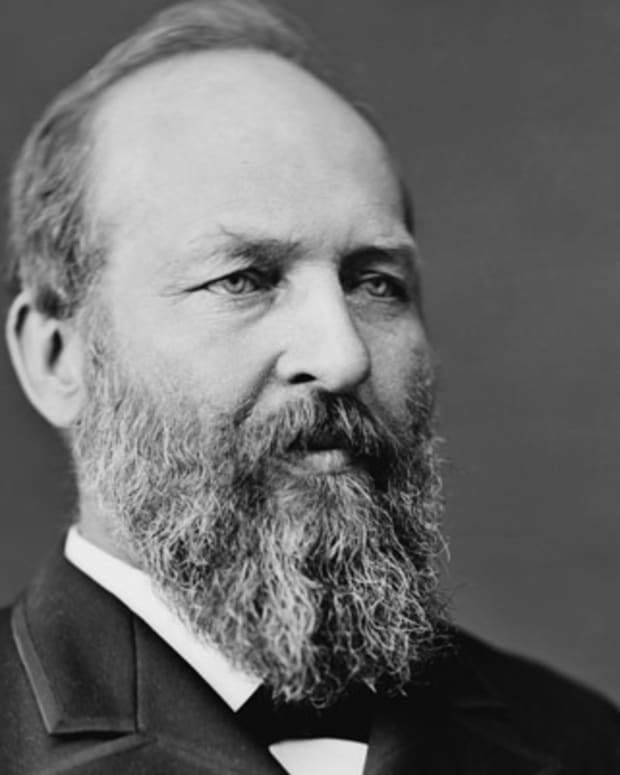 He attended Santa Monica City College for a time, but eventually transferred to University of California, Los Angeles, and majored in theater. After appearing as Malcolm in the school&apos;s production of Macbeth, Dean dropped out of UCLA. His first television appearance was in a Pepsi Cola commercial, while his first big-screen parts, uncredited, were in 1951&apos;s Fixed Bayonets! and 1952&apos;s Sailor Beware, a comedy starring Jerry Lewis and Dean Martin. 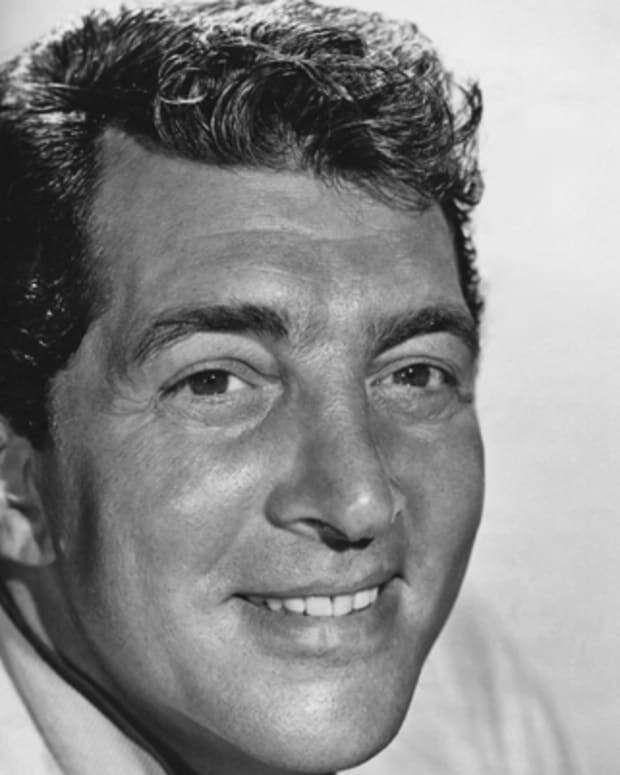 To make ends meet, Dean worked as a parking-lot attendant at CBS Studios, where he met Rogers Brackett, a radio director who became his mentor, with the two also said to have been romantically attached. In 1951, Dean moved to New York City and was later admitted to the Actors Studio to study under Lee Strasberg, though the two were reputed to not have gotten along. Dean&apos;s career began to pick up, and he performed in such 1950s television shows as Kraft Television Theatre, Omnibus and General Electric Theater, with a high school fan club formed after his appearance as a contemporary John the Apostle in 1951&apos;s Hill Number One: A Story of Faith and Inspiration. 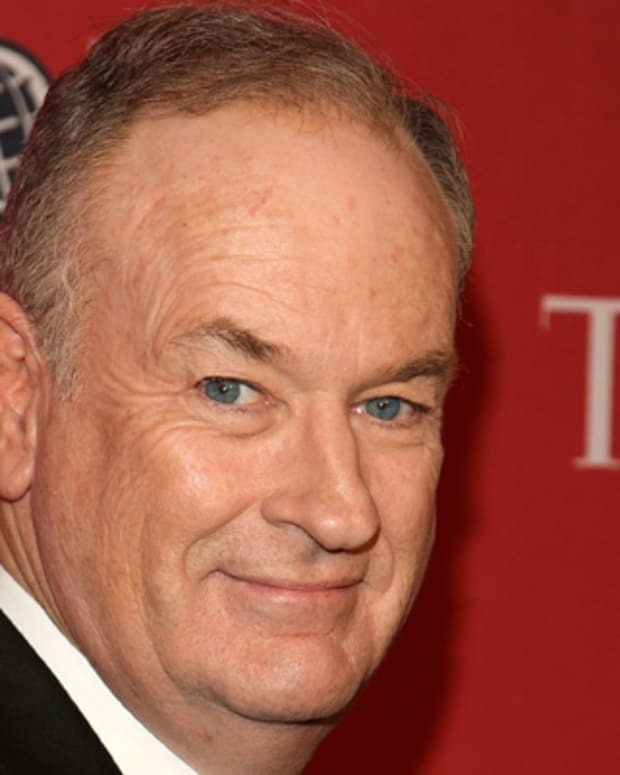 The fledgling actor was also garnering a reputation for being unstructured in his technique, though the work continued to come. After a Broadway role in the short-lived 1952 drama See the Jaguar, Dean&apos;s success as an Arab boy in 1954&apos;s The Immoralist led to interest from Hollywood. 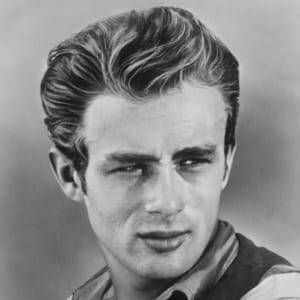 Over the ensuing months, Dean starred in three major motion pictures, beginning with the 1955 film adaptation of John Steinbeck&apos;s novel East of Eden. Director Elia Kazan chose Dean after the actor met with Steinbeck, who thought him perfect for the part. Many of Dean&apos;s scenes in the film were unscripted improvisations. 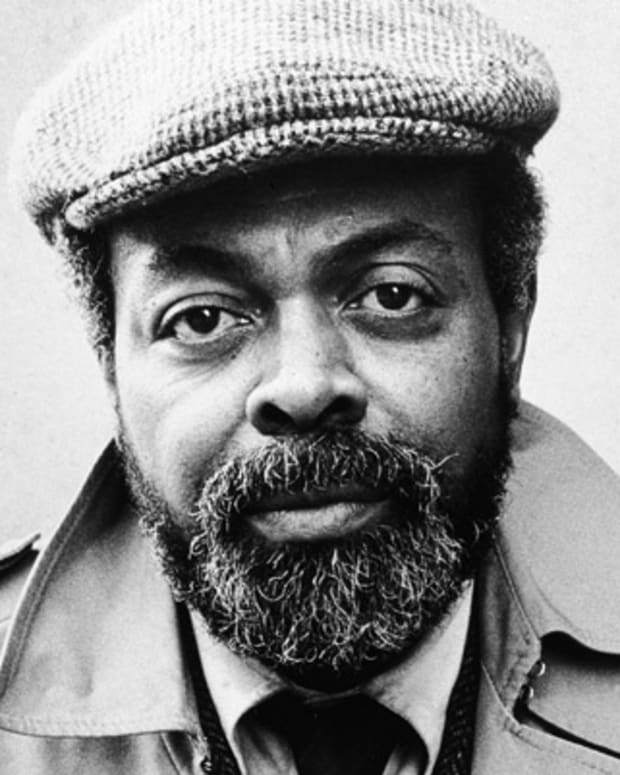 He would eventually be nominated for an Academy Award for the role, making him the first actor in history to receive a posthumous Oscar nomination. 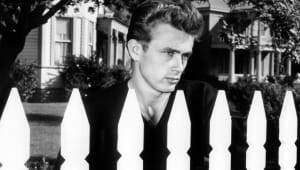 In his next film, Dean starred as the agonized teenager Jim Stark in 1955&apos;s Rebel Without a Cause, a part that would define his image in American culture. 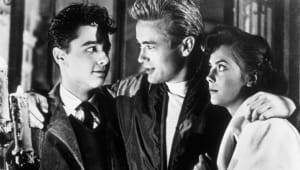 He co-starred in Rebel with Natalie Wood and Sal Mineo, with the film focusing on the emotional alienation of three youngsters and the devastating drama that ensues from adolescent rivalry. 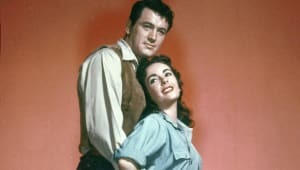 Dean then landed a supporting role to Elizabeth Taylor and Rock Hudson in the epic, intergenerational family saga Giant, with Hudson playing a well-off, racially prejudiced ranch owner to Dean&apos;s impoverished, racially prejudiced ranch hand. Giant, which was Dean&apos;s last film, had a running time of more than three hours and saw the actor portray a character whose fortunes change over the decades. He died before production was complete, with Giant ultimately released in 1956. Dean received an Academy Award nomination for this role as well, making him the only actor in history to receive more than one Oscar nomination posthumously. When Dean wasn&apos;t acting, he was a professional car racer. On Friday, September 30, 1955, Dean and his mechanic, Rolf Wuetherich, drove Dean&apos;s new Porsche 550 Spyder to a weekend race in Salinas, California. At 3:30 p.m., they were stopped south of Bakersfield and given a speeding ticket. Later, while driving along Route 466, a 23-year-old Cal Poly student named Donald Turnupseed, after turning at an intersection, collided with Dean&apos;s Porsche. The two cars hit each other almost head-on, with the Spyder devastated from the impact. Wuetherich was seriously injured but survived, while Dean was killed almost immediately. He was 24. 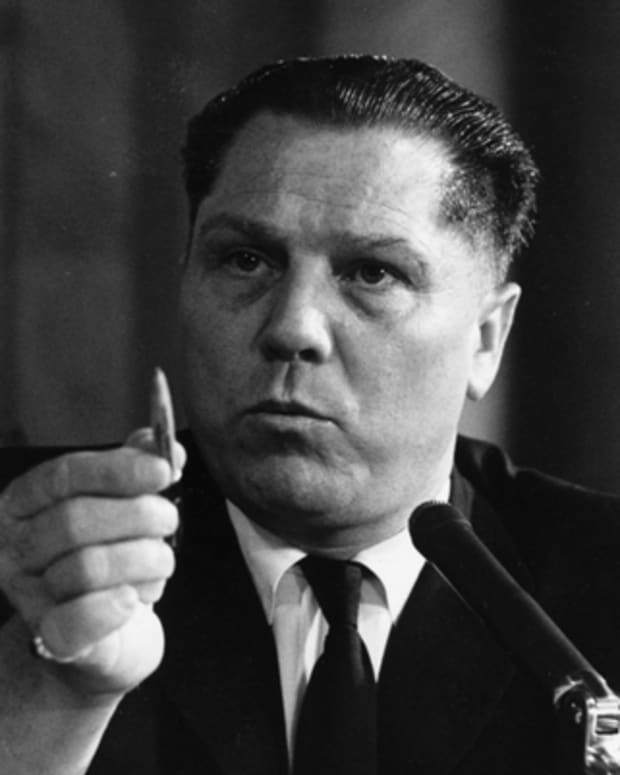 Jimmy Hoffa became a labor organizer in the 1930s, rising in the Teamsters Union during the next two decades until he reached the office of president.